Set in the near centre of the Muskoka region two hours north of Toronto, Bracebridge Ontario is positioned on a hilltop overlooking the Muskoka River. Over 22 natural waterfalls cascade down throughout the town, the highest count in any Canadian community. Besides adding to the attractiveness of the area, these waterfalls also prompted Bracebridge to become the first site in Ontario to build a hydroelectric plant, still in use today. A celebration honouring these gushes is held each May at the Festival of the Falls. Warm weather attracts cottage and resort travellers, as well as those simply wishing to drift down the Muskoka River aboard the comfortable Lady Muskoka cruise boat. The cooler temperatures of winter are embraced by many, especially snomobilers who enjoy the diverse topography of the area. Those who wish to experience the magic of the holiday season year-round can visit Santa's Village, where one can meet the man in red, visit with some of his reindeer and take in some rides. 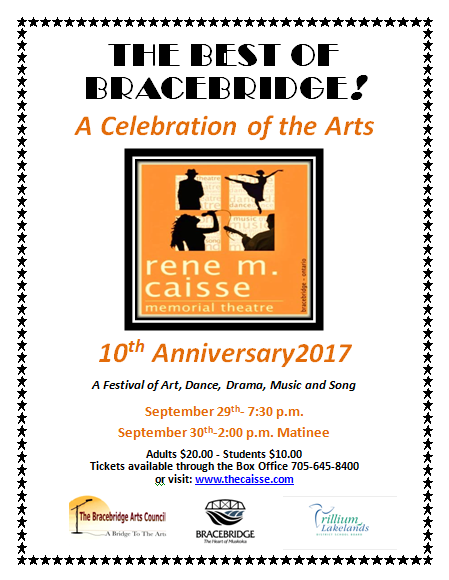 If you have never been to Bracebridge or you are a returning visitor and would like to find out about places to stay, stores to shop at and things to do, visit our Business Directory.